Halloween can be a particularly dangerous time for pedestrians, in part, due to the holiday’s high rate of drunk driving. 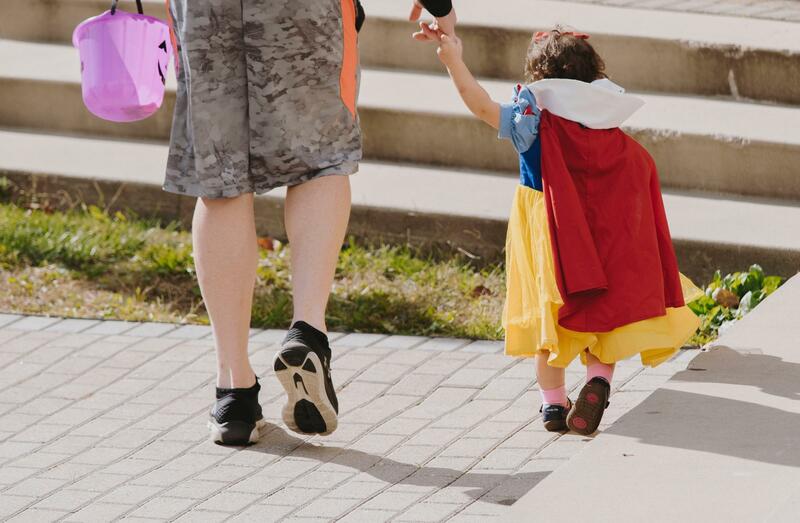 A child in a costume and an adult walking together. Reports show in recent years, drunk drivers were involved in forty four percent of Halloween crashes that resulted in a death. To prevent Halloween drunk driving, AAA is teaming up with Budweiser to provide the Tow to Go program. “Our Tow to Go program: it’s offered all day on Halloween up until 6 a.m. the next day, where we will come and take you and your vehicle home or anywhere safe within 10 miles, completely free of charge, whether you’re a member or not. And that’s to make sure no one is getting behind the wheel after they’ve been celebrating with alcohol,” says AAA spokesman Matt Nasworthy. Now in its twentieth year, the program has helped 25,000 impaired drivers get home safety since it began. It’s also offered on New Year’s Day and even the day of the Super Bowl. To use the program you can go online to AAA’s website or call the company’s phone number. Nasworthy explains more ways to stay safe. “You have it happening during the week, so there’s also that afternoon rush hour that plays a roll, that afternoon evening rush hour. It can definitely create a dangerous environment for folks that are out there going door-to-door-to-door trick-or-treating," he says. Nasworthy says drivers should avoid distractions, go five miles slower than the speed limit in neighborhoods, and be sober. He advises parents to send kids out with adults, and use flashlights or reflective strips to make children’s costumes more visible to drivers. St. Patrick’s Day falls on Saturday this year, and AAA officials say they’re expecting to see much more drivers on the roadways. They’re offering Floridians a safe ride home to avoid fatal crashes.